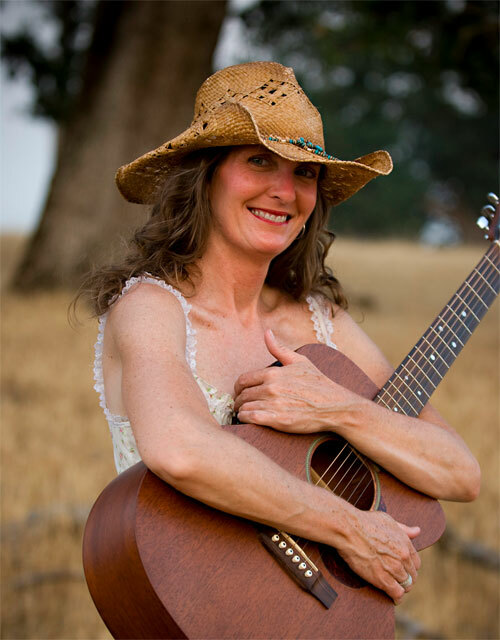 Lisa Phenix is a Sacramento-based songwriter whose influences include folk, blues, and jazz — plus a healthy dose of fun and dancing. 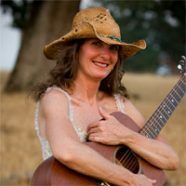 Lisa (AKA Silly Little Mama) has recorded three CDs: “[easyazon-link asin=”B000CAJHHA” locale=”us”]Homegrown[/easyazon-link],” “[easyazon-link asin=”B0021CDD72″ locale=”us”]Songflower Girl[/easyazon-link]” and [easyazon-link asin=”B00125WEU6″ locale=”us”]Holidays Are for Hugging[/easyazon-link].” She performs with The Lisa Phenix Band (primarily in the Lake Tahoe and Sacramento area) and teaches music lessons for adults and kids. I’m inspired by all kinds of things. I initially began writing songs because someone suggested I do so. What came of it, was heartfelt emotion relating to a big life transition I was experiencing at the time. The joy of divorce, the pain of it, the sorrow and loss of it, etc. I also became more aware of living in the present moment and blessed with this awareness more songs came through me and continue to. I am very motivated by love. I believe it to be the most powerful force in life and continue to attempt to encourage a feeling and greater awareness of love in life and the present moment in my songwriting. Writing allows me to express vulnerable thoughts and feelings outside of the heat of the moment and retain it in song form. You refer to your performance and songwriting style as “homegrown mating music.” Tell me more! Well, since I believe Love to be the most important thing there is, and believe it’s important to practice it in everything I do, my first CD was very playful, and expressed some pain too. When one confronts one’s pain, grieves, lets go and gets over the pain mountain, I feel it frees one up to love deeper, express greater vulnerability, be more intimate and more effectively “mate” as it is. I’m a bit of an anthropological thinker. Easiest part are the lyrics. The hardest part is finding time to complete one and tinker and tailor it to a point where I believe it’s done. I really don’t spend enough time writing, creating, and building my musicianship skills as I have three kids, work, and a busy life. What are your thoughts on performing original music? I love performing original music and encourage all my music students to write their own material regularly. Nonetheless, the music market is quite difficult, and when performing, the audience truly enjoys cover tunes. So I tend to throw an original in between enticing covers that one can sing along to. I love Kate Wolf, and I love the Grateful Dead. I’d say they are my greatest influences. Kate Wolf was an amazingly deep lyricist. I just am blown away by the depth of her words. Jerry Garcia’s guitar playing and heartfelt singing and Robert Hunter’s lyrics together to me are a rock solid american music combo. The Dead really brought that music to life. I have tons of other favorites though and am influenced by all sorts of music, and musicians daily, especially my adorable younger students. Some of the wisdom that comes out of them just knocks me off my feet. In their review of your Homegrown CD, the Roots Music Report wrote “This lady is just magnificent. She knows how to write a great song and she knows how to sing a (great song).” What, in your view, is the relationship between songwriting (creating) and singing (expressing)? I believe you’ve got to feel it to create it and sing it. Bottom line. It takes courage to feel deeply and put your raw authentic self out there. Scary, liberating nakedness. That makes a great song. What words of advice can you offer to other songwriters? Write every day. Love is trying to grow through you and into the world. 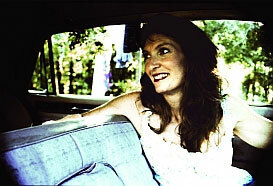 Lisa: I play a Blueridge guitar. Love its bassy sound. I’ll also pick up other toys and play them. I wrote a tune on a banjo once and like to noodle at the keyboard a bit too. Mostly guitar and sing though. Lisa:I sing into the voice memo function on my iphone. used to sing into a microphone attached to my ipod, prior to that a tape recorder. I’m very weak in this area. once I have a tune worked up I go to a friends house to record a a working demo, usually my bass player who has a full recording studio in his garage. sometimes my sound engineer who works out of his house. Lisa: Yes: balance in one’s life. You’ve got to clear your head and clear your space and not get too stuck in the world to be able to feel deeply and put it out there.